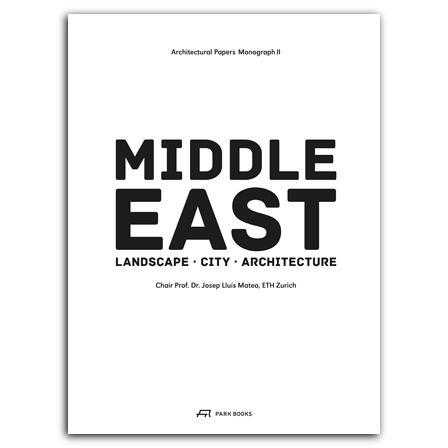 Middle East explores the architecture of a nearly paradoxical region. The cradle of culture, where much remains of thousands of years of human society, the Middle East is also an area of great flux in contemporary history. This volume explores this dichotomy in three sections. The first, “Beyond the View,” investigates notions of Middle Eastern architecture through a comparative study of different parts of the Arab world. “Case Studies” focuses on three exceptionally different cities—Beirut, Amman, and Doha—through an investigation of recent and future building projects. The final chapter, “Limits” looks at the architectural practices of countries that constitute the geographic, cultural, and political limits of the region: Israel, Turkey, and Iran. is a partner with Ivanišin. Kabashi. Arhitekt in Dubrovnik and Zagreb (Croatia). He has been a teaching assistant at the Department of Architecture at ETH Zürich and is a visiting professor at the Barcelona Institute of Architecture.